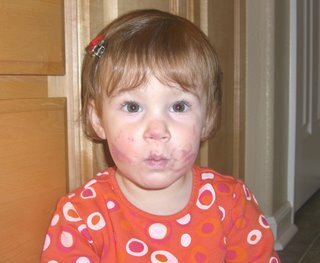 November 21- Here is a picture of Savannah after playing in Mommy's lipstick! 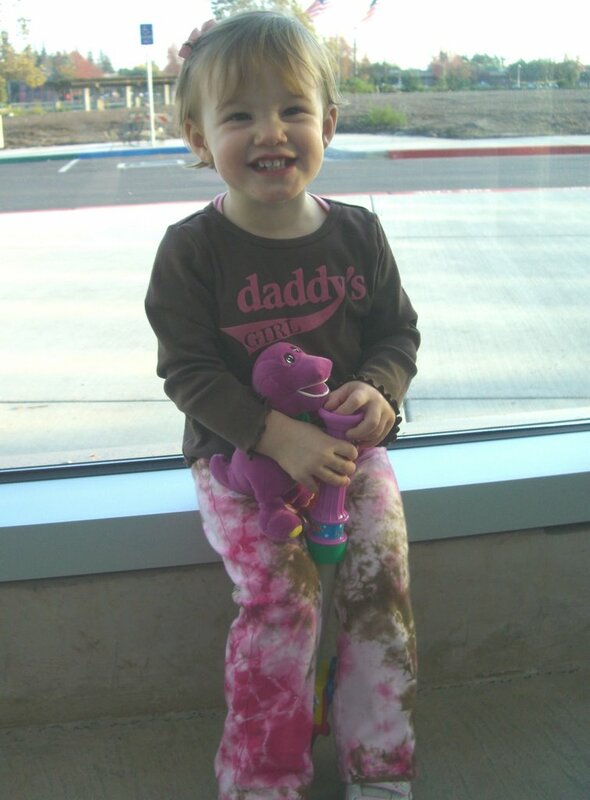 November 14- Savannah has become a huge fan of Barney-- or as she affectionately calls him "Barn". 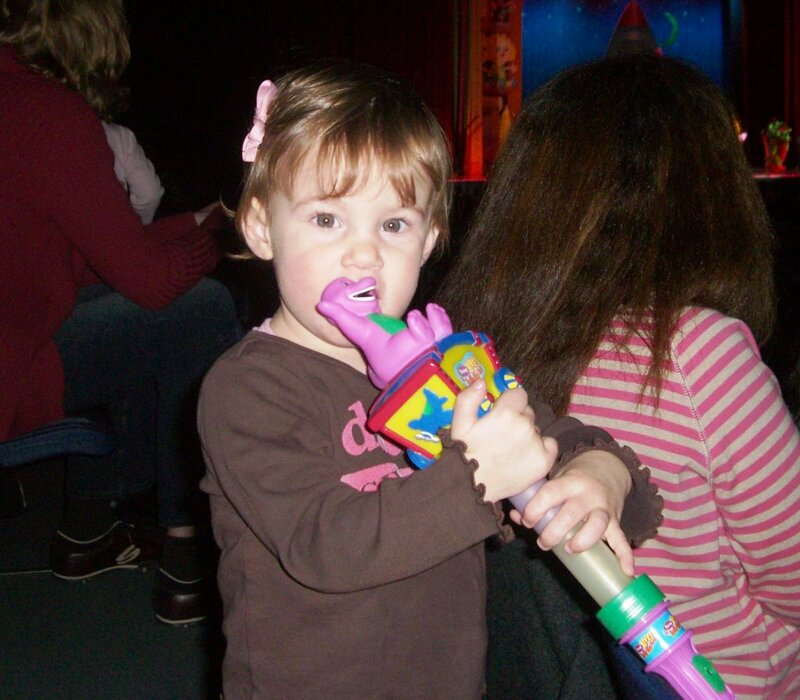 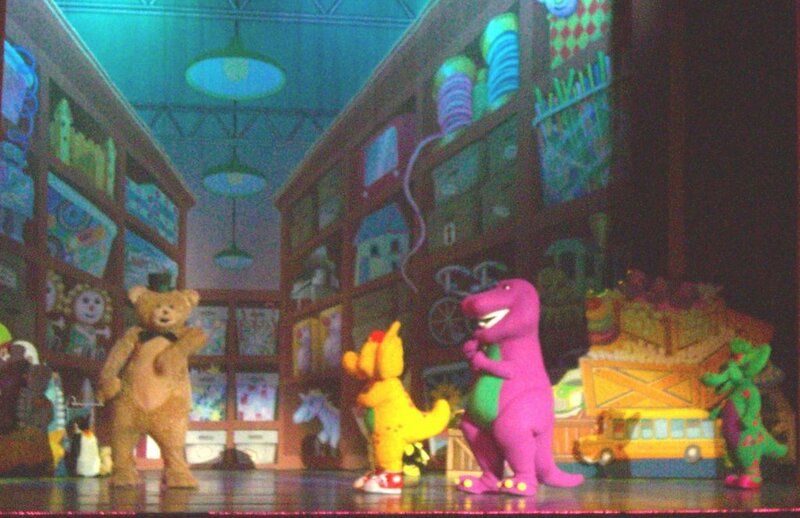 So.... we took her to see Barney live in concert. 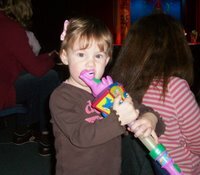 She was so excited to see Barney in person and had lots of fun dancing & singing along. November 13- Here is Savannah all suited up in her Ladybug rain gear. 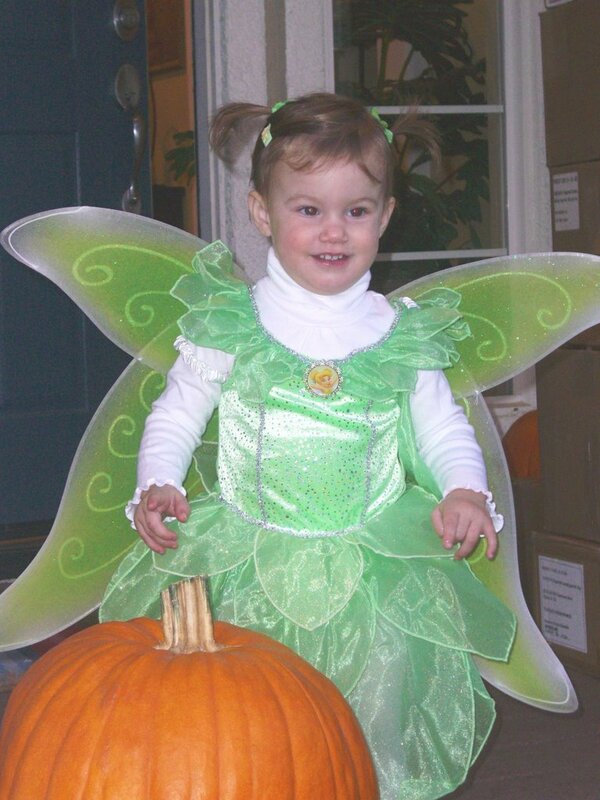 October 31- Here is a picture of Tinkerbell getting ready to go trick-or-treating. 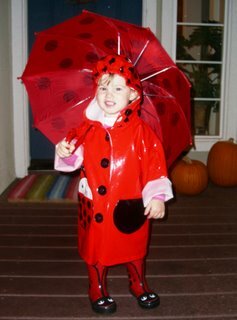 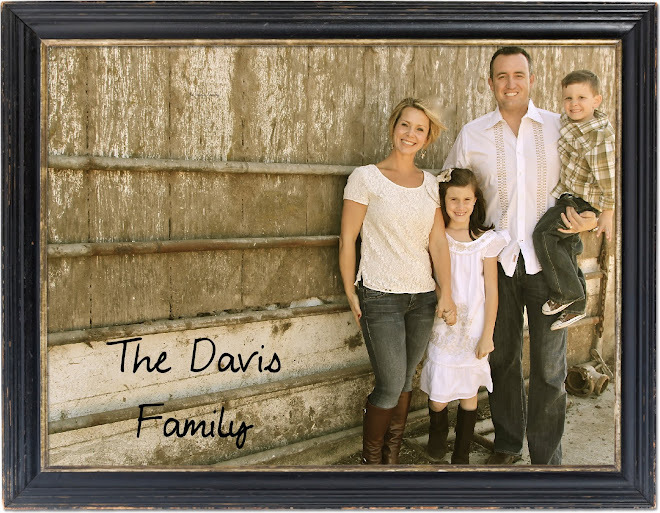 Savannah had a lot of fun going door to door and quickly got the hang of collecting candy. 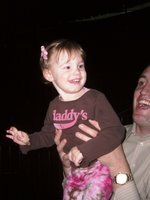 She got to enjoy one piece of candy-- which she held on to for dear life. Once we finished trick-or-treating, she was quite the Halloween hostess and happily handed candy out to all the little ghosts and goblins that visited our house. 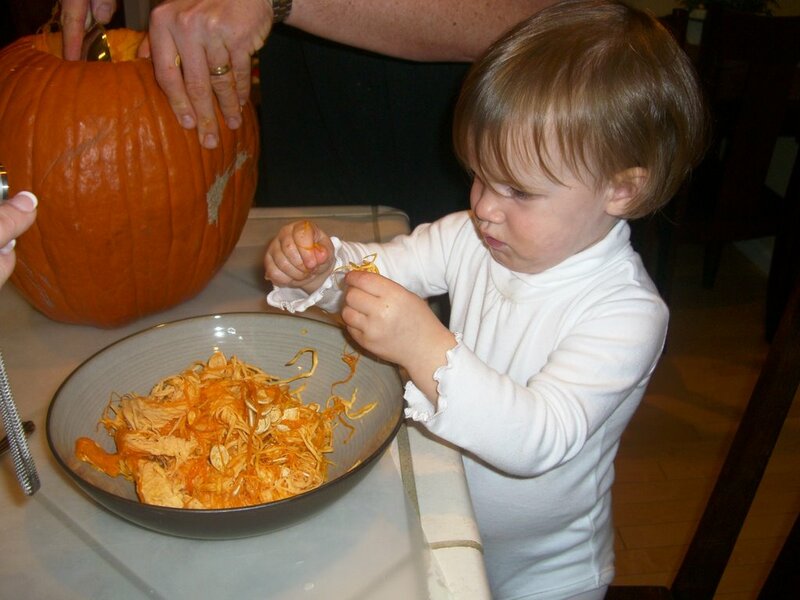 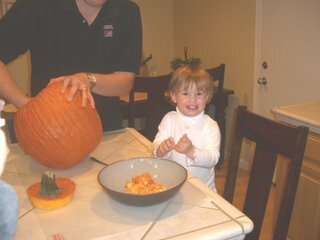 October 30- Here are some pictures of Savannah carving her 1st pumpkin.